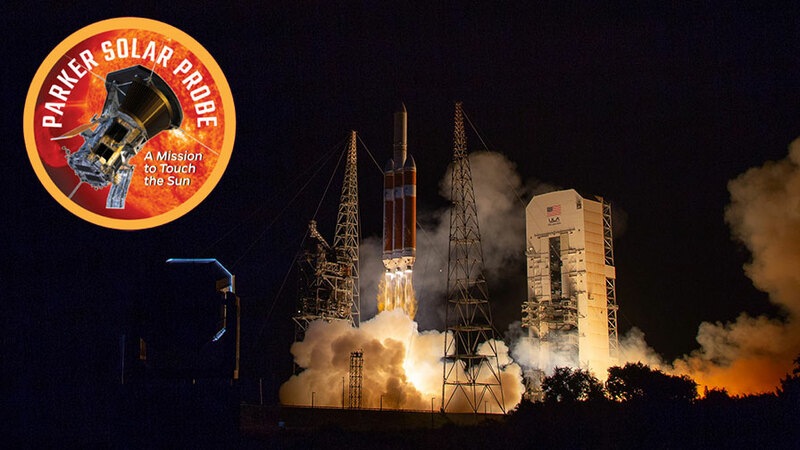 The Parker Solar Probe launched on its seven year mission to study our Sun up close on the early morning on August 12, 2018 on top of a heavy duty Delta IV rocket. This probe will make seven flybys of Venus to help push it closer and closer to the Sun. It will not only set the record of being the closest spacecraft to ever approach the Sun, but also the fastest spacecraft ever at some points in its many orbits! Going towards the inner solar system requires a lot of power and the Parker Solar Probe will use every bit of its energy as the mission endeavors to explore the Sun and its corona. The mission is especially focused on solving the mystery of coronal heating, the ongoing mystery as to why our Sun's wispy corona is so much hotter than the surface of the Sun. The Parker Solar Probe can survive its close encounters with the Sun - sometimes coming to within 9 solar radii of the star itself - due to some tough, clever engineering. A strong, 4.5 inch (114mm) thick shield protects the craft from the radiation of our Sun on its close encounters. Another unique feature are its two sets of solar panels - one set that is folded up for its close approach, and another smaller liquid-cooled set made just for its close approaches. As it takes eight minutes for a signal from the probe to reach the Earth, making round-trip communications 16 minutes long, the probe also features an advanced computer that allows the craft a good deal of autonomy. This autonomous exploration feature allows the probe to explore the sun while keeping itself protected from unexpected outbursts of radiation and other potential dangers from our Sun. Without these protective measures, the equipment on board the Parker Solar Probe would be destroyed in just a few seconds! We have collected some of our favorite solar outreach resources below in honor of the successful launch of the Parker Solar Probe! As many folks already know, not all star parties happen at night: we can only observe our closest star during the day! 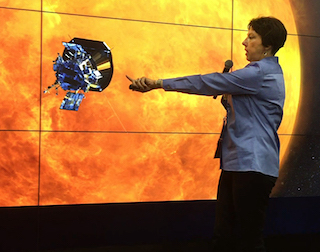 We recently hosted a webinar with Dr. Nicola Fox, mission scientist for the Parker Solar Probe mission. She discussed the origins of the mission, its science goals, and an overview of how this plucky probe will survive its close encounters with the Sun. You can watch the whole webinar on our YouTube channel. 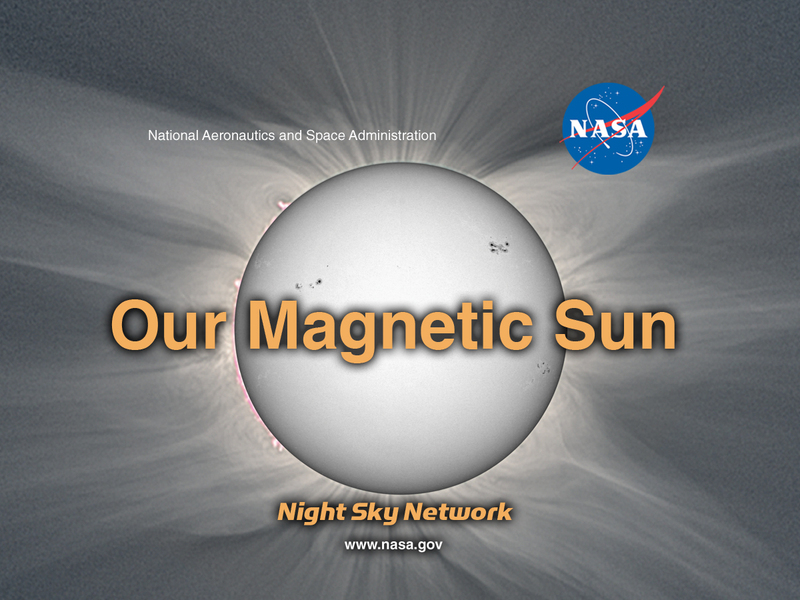 The Our Magnetic Sun Outreach Toolkit contains many great activities featuring solar science, as well as companion resources for solar observing. We have a presentation on the Earth/Sun connection and space weather that your club's visitors may find intriguing. The Magnetic Connection activity lets your visitors simulate a solar storm and disrupt a model of the Earth's magnetic field. Solar observers may appreciate the Explore the Sun cards designed for solar observing events through filtered amateur telescopes. 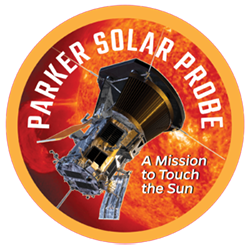 Finally, you can of course find the latest updates from the Parker Solar Probe's official mission website, along with updates on the official NASA Sun & Space Science social media accounts on Facebook and Twitter.